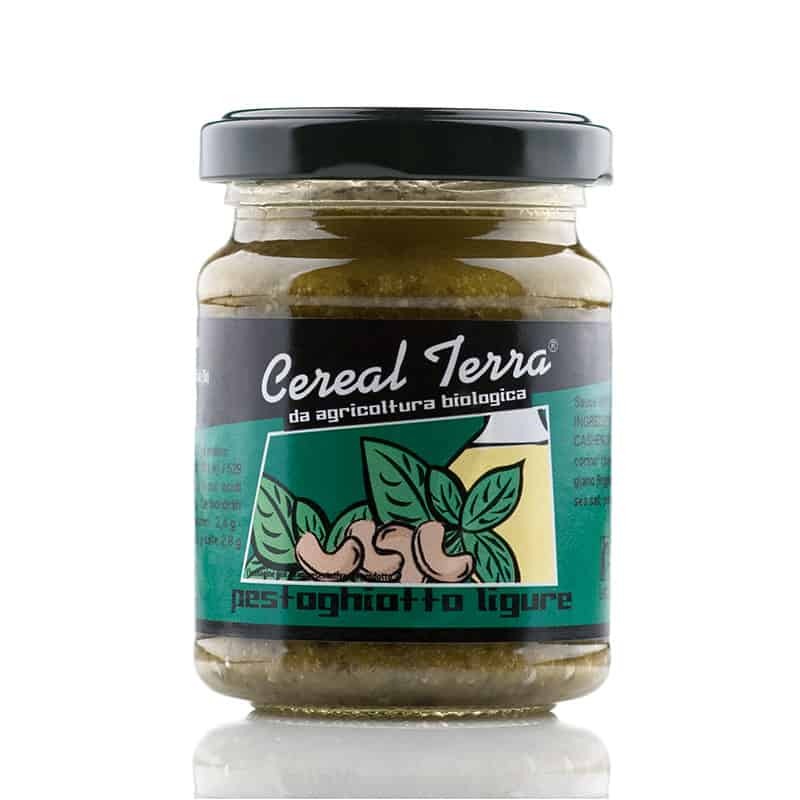 Our finest quality organic Pestoghiotto (pesto) from Liguria is made with pecorino cheese, walnuts and pine nuts. It's coarsely blended with extra virgin oil, as though it has been home-made by you! Absolutely delicious with plain pasta. Ingredients: Basil, extra virgin olive oil, walnuts, cashew nuts, pecorino cheese, pinenuts, reggiano parmesan cheese (milk), garlic, sea salt.